The International Folklore Festival Veliko Tarnovo is organized by “International Folklore Festivals” Foundation on the territory of the city of Veliko Tarnovo and the neighbor regions. It is the only festival in the country which have a status of “Festival of CIOFF to UNESCO” / CIOFF – International Council of Organizations for Festivals of Folklore and Traditional Arts/. Every year the city of Veliko Tarnovo is a host of the International Folklore Festival with participants and groups from all over the world from the family of CIOFF. The Festival is higher appreciated from our society like a bridge between the cultures and the popularization of the traditions and folklore of the peoples in the world. The Festival became a long - expected event which fascinate the public and the artists, and remain forever in their hеarts. The leader of the group since 2004 is Mr. Angel Carabajal. The main purpose of the group is to promote on international level the country’s dances, customs and traditions. For more than 10 years the group has presented in the country numerous dance shows. The main repertoire of the group consists of tango, malambo and folklore dances from the different parts of Argentina. Con “Sentires” sentiras la magia de la danza argentina! Feel the magic of the Argentinean dance! Dance troupe “Manguay” is created in the city Barinas in 1988. Creator and manager of the troupe is Elizabeth Belisario who wishes to present the rich gamma of folklore and national dances. The creator found a company under the title of “That the way we protect our culture”, in which participate 80 students aged 5 – 20 years. “Manguay” is a specific name that comes from the names of two fruits typical for these lands: “mango” and “guayaba”. With its unceasing work the troupe contributes for the national and even for the international popularization of the region. The group is created in 1992 as Georgian Folk dance children studio, two years later was founded dance group performing Georgian folk dances. In 1997 the studio was changed in Georgian Dance Academy and was called ‘’IKORI’’. It means ‘’God’s blood’’. Georgian dance is as immortal as IKORI (God’s blood). A lot of stories performed with the meanings of music and dance will tell us the participants of Folk Dance Ensemble of Rentis Municipality. Rentis has a population of 15 000 inhabitants and constitutes part of the Piraeus Prefecture. The members of the dance group have participated in many festivals and events at many towns in Greece. They have also participated in many festivals and events abroad presenting the great dance art of their country. “Performing Art of Global Exchange & Gujarat Art Platform” (PAGE GAP) is a cultural organization with splendid history of more than four decades. The promoters of this institution have invested many years of their lives to achieve the confidence to speak about their great heritage and to lead the young generation to the world platform with the wealth of that heritage expressed fascinatingly in various forms of performing art, such as Folk Theatre (BHAWAI) and Folk Dances (RAS-GARBA). Formed in 1985, the group has participated in several international festivals in Canada, Italy, Spain, Germany, Kenya, Peru and others. Sanggar Seni Budaya Kreisna was established in 1990, and has experience performing in several national and also international events. One of the main objective of the group is to preserve the culture and art for the new generations, especially Indonesian traditional dance. The general repertoire of the group consists of various dances from Java, Jakarta, Papua etc. accompanied with traditional musical instruments. All the dancers are wearing beautiful colored costumes from the different islands. A golden fairytale re-created with the meanings of music and dance. The association has been founded in the 2002 from the university students in order to protect the culture of the Sicilian people, through the shapes of art of the dance, music and recitation. The name of the Association was the name of the old Castle that was built in the 1500 to protect the coast of the City of Licata, and the people that lived there, to the attack of the Turkish Pirates. As the castle the association wants to protect its culture and its tradition to the attack of the time. The association participates actively in cultural exchanging programs between the city of Licata and the adherent countries of the European Community. Folklore occupies very important place in the life of Cypriots as it provides unity and identity. Probably the most special part of folklore, which plays a very important role in the unique lifestyle of Cyprus, is dancing. “İskele Municipality Folk Dance Group” routinely represent its country in international festivals throughout the year. The folk dances they present reflect all details of island’s lifestyle. The dances that are choreographed with the motifs of typical behaviours and traditional occasions typically focus on notable events. The group was established in 1987 with the main purpuse to educate young people in their folk history which is inseparable part of Cyprus culture. At present the group has over 300 members in three age ranges and has participated in numerous national and international folklore festivals and competitions. Established in the year of 1947, the Arts Theatre of China Coal Industry is one of the oldest performing arts organizations in the country. The artists have produced and presented numerous music and dance programs as well as theatrical plays, which have won dozen of awards in all kind of art festivals and competitions. Some of the countries that the group has performed are: USA, Canada, Japan, Thailand, Singapore, Italy and many more. Some of the dances included in the group’s repertoire are: Dance of flower, Dance of the peacock and many more. The Aboriginal Folk Dance Group of Bei Pu Elementary school was founded in 1999. It presents the folklore of one of the oldest Taiwanese tribe. The school pupils take great care to preserve the local traditions featured by the educational programs of the group. Some of the elements remarkable for these performances are dynamism, passion for dancing, glee – elements appreciated by local audience as well as by tourists visiting the city. The group’s program presents beliefs and tribe’s close – knit relations with the aid of body language and elements of modern dance. The dancers` movements, both simple and expressive, convey profound spirituality of the tribe’s dance culture. Costa Rica is a small country but from many points of view, a country which has plenty to offer – unique exotic natural heritage, friendly people and its reach folk music and dances. Dances are different from any others. Everywhere in Costa Rica you will be face to face with music, with dancing. As a group, it has organized different international trips: in October 2002 the group has represented its country in International Arts Festival of Coahuila, Mexico; in November 2003 in Nicaragua; as in some other international events in Mexico, Taiwan and others. The Company has 35 members in total, experienced musicians and dancers as well as a group of novices, most of them with an integral development of several years in music and folkloric dance. Mauritius Island is situated in the Indian Ocean, approximately 2440 km off the South East Coast of Africa. The island, which is of volcanic origin, covers an area of 1 865 square km and is surrounded by beautiful corral reefs. The Steel Boyz Band of Mauritius is the one and only steel band in the south region of the Indian Ocean. The group started four years ago with youngsters of 14 years old. The traditional instruments of Mauritius are the ravanne, maravanne and triangle; the typical folkloric music and dance – the Sega (pronounced Saygah). Originally sung by men and women who had been sold as slaves but whose souls had remained sensitive to music, the Sega is nowadays a folksong which has integrated itself within the framework of the folklore of the island. Today the Sega and its beat are a part of every Mauritan`s life. Banataul Professional Folk songs and Dances Ensemble represent Romania and more precisely the ethno – folkloric area known as Banat, located in the western part of the country. Banat has being regarded as one of the richest parts of Romania. This richness is well represented in the cultural field, at the beauty of the traditional vesture, the variety of performances, the developments of the inter-cultural relations. “Banatul” Ensemble was established 37 years ago and today it is the sole professional folklore ensemble of the western Romania. Russian folk art is a unique phenomenon in the world’s history of culture, due to its richness and variety of genres. Russian folkloric dance, just like folkloric dance forms from many other countries, is a mixture of traditional music and dances done in villages and cities, on the streets and in ceremonial situations, in parties and celebrations, combined with classical movement forms such as ballet, modern dance, and sometimes gymnastics or acrobatics. During its creative work the theatre of dances enjoys wide popularity and admirers in not only its native city and other Russian towns but abroad. Dancers of “Uventa” are repeated winners of numerous republic and international folk festivals and competitions, participators of cultural life of the city of Novosibirsk and other regions of Russia. Audience in Germany, Hungary, Romania, Greece, Turkey and Egypt was delighted with the performances of the “Uventa” group. “Uventa”’s collection of awards is very rich in diplomas, medals and cups because this dance-group brings bright extraordinary culture to the people. “Komenka” was established in 1979 for the purpose of portraying international folk cultures through dance and music. The 30-member ensemble is a non-profit group with members from throughout the New Orleans community. Training with internationally recognized choreographers and musicians is stressed. The ensemble has performed internationally on many occasions since 1988 in such areas as Bulgaria, the Caribbean, the Czech Republic, France, Hungary, Poland, and Russia. The history and roots of ethnic and popular dance unique to the southern United States will be provided via exciting and informative “Komenka” presentations. Dance styles from the mid 1800's through today will be available. Both rural and urban styles are included. The Trinity Irish Dance Company and TRINITY II are the world’s only nonprofit Irish Dance Companies that perform and tour nationally and internationally. Trinity was the first to transform traditional Irish dance into cutting-edge entertainment. Its artistic excellence and world-champion status distinguish it from imitators, and define its dancers as internationally acclaimed artists. The trinity phenomenon started in Chicago, in 1979. The Company made history by becoming the first American team to win the team title, World Champions of Irish Dance, and went on to perform around the globe. Unique show, unbelievable perfection, speed and grace! “Phetchaboon” Folk dance Group was established by a group of people who has deep love in learning about traditional local performances since 2004. The main task of the group is the choreography in order to preserve the performance of local dances, songs and music, and pass on of these to younger generations who will present the value of Thai traditions and culture to other regions and countries in the future. The group has performed successfully at many national festivals in Thailand as well as in other countries such as the USA, Turkey and Poland. ‘Sivuyile’ is an energetic traditional Xhosa song and dance group from Umtata, Eastern Cape Province, South Africa. The meaning of ‘Sivuyile Nonzame’ is to bring happiness. The group was established in 1976 and became increasingly popular performing for community, government and non–government functions. Sivuyile Nonzame is experienced in the field of traditional dance and has extensive performance experience. The group’s members have performed at prestigious local and international events. They performed in Cape Town for the inauguration of their first democratic President, Mr Nelson Mandela as well as at the inauguration of President Thabo Mbeki, and at several AIDS benefit concerts. Internationally the group has performed in Brazil, Germany, France, Philippines, Greece and Mexico. The group also specialises in craft such as beadwork and the making of traditional attire. They have a Hand Craft Centre in Umtata where they make their craft and sell to the community, tourists and to other groups who need attire. Their strength is in promoting and safeguarding the Zulu culture throughout South Africa and abroad and to transmit South African culture to the future generations. 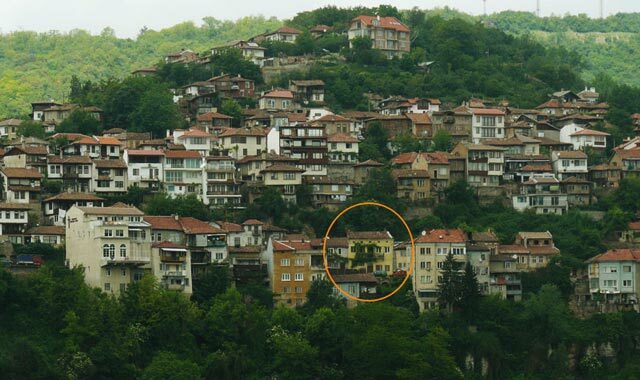 Bulgaria, 5000 Veliko Tarnovo, 3 Nezavisimost Str.